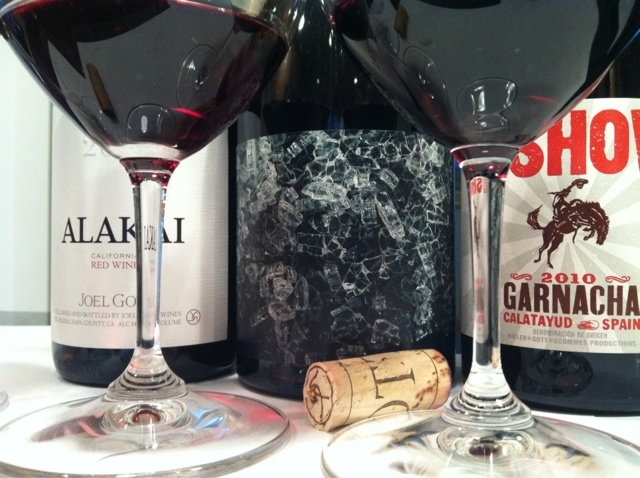 Winethropology: Do You Like Grenache? Let me answer that for you: you do. That's right. You do. How do I know that? Next to Syrah, Grenache reflects its origin in the bottle more transparently than any other red variety. And that means that there's a Grenache to fit every palate. In the southern Rhone valley, it can take on the silkiness of fine baby hair and gentle floral aromas of surrounding fields. In Australia it swaggers with characteristic Oz bravado. In Spain and California, it runs the gamut from clumsy fruit bombs to potent, sophisticated, tear-jerking examples of what greatness can be achieved with this grape. Within this spectrum there's a profile for every preference. So, why isn't Grenache that popular in the US? Lots of competition and not a lot of attention span. For the informed consumer, however, that's good news. But word is catching on - French Grenache sales in the US were up 26% last quarter. Though choosing any three wines to adequately represent Grenache's diversity is a fool's errand, but a fun errand nonetheless. These three, one each from Spain, France, and the US, were received as press samples. Categorically, these all fall at the bigger, denser end of the spectrum, so the stylistically genteel rendition was not represented in this tasting, but it's out there - and you would do well to find it. To that end, one specific recommendation: the Grenache-dominated 2010 Domaine Olivier Hillaire Côtes du Rhône Vieilles Vignes. Whatever floats your boat, there's a Grenache out there with a scratch for your itch. A collaborative effort between Dave Phinny (of Prisoner fame) and Joel Gott, this was the winner of the pack. High-flying aromatics and luminescense make this wine pretty even on the approach. Interestingly, its modern components of big fruit flavor and strong tannins sit underlie a countrified, rustic platform. Unexpected and pleasurable, this thought-provoking wine was the first to disappear. Sterotypical Spanish Garnacha nose - flabby fruit in your face. But that dark, round fruit is girdled by strappy tannins that hold on for a long, grippy finish. It even has some pretty background not overtop the thick layers of fruit. Young, fresh, and in need of time to unwind the finely textured, but prominent tannins.